We are committed to build a long term relationship with our customers. Pierre Guerin developments and successes would not have been possible without the total-quality approach initiated by the Company more than a decade ago: oriented towards Customer Satisfaction and based on a process of continuous improvement. From preparation of the initial quotation through product design, manufacturing, installation and support, the Pierre Guerin total-quality approach ensures that your expectations are met or exceeded. 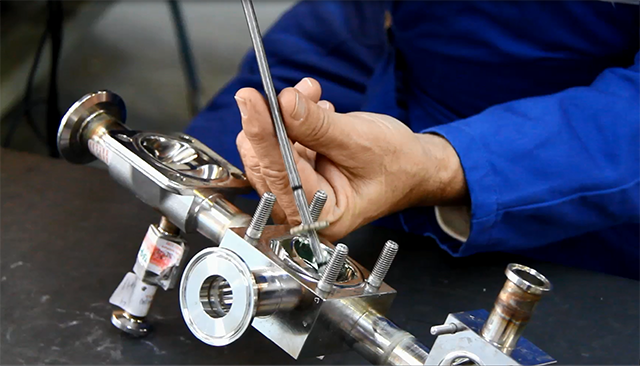 Our internal processes were created to provide our customers with complete turnkey solutions of assured standards. They are supported by a thorough Quality Assurance System based on ISO 9001 but also GAMP V5 for project management and automation development methodology. Standardise and disseminate the Quality Management System throughout the Group.